Outfit pictures are not really my forte, so when I spend the day with an enthusiastic (and patient) photographer, I tend to make the most of it. 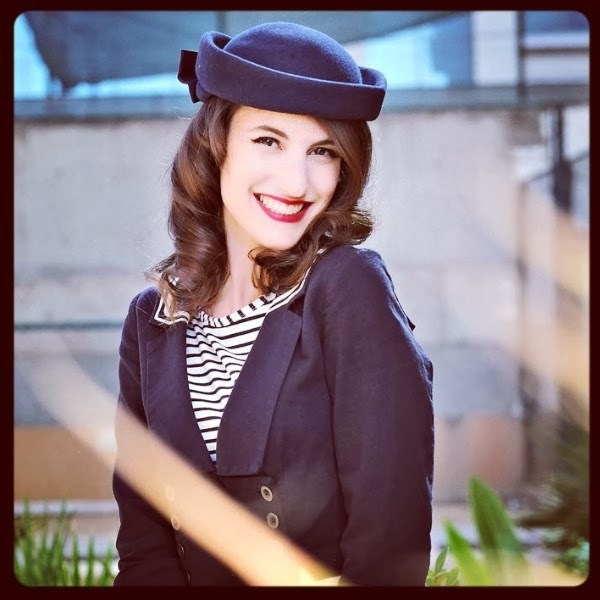 When Mariyah met for a beauty shot a few weeks ago, I didn't forget to bring my sailor pants, jacket and hat. 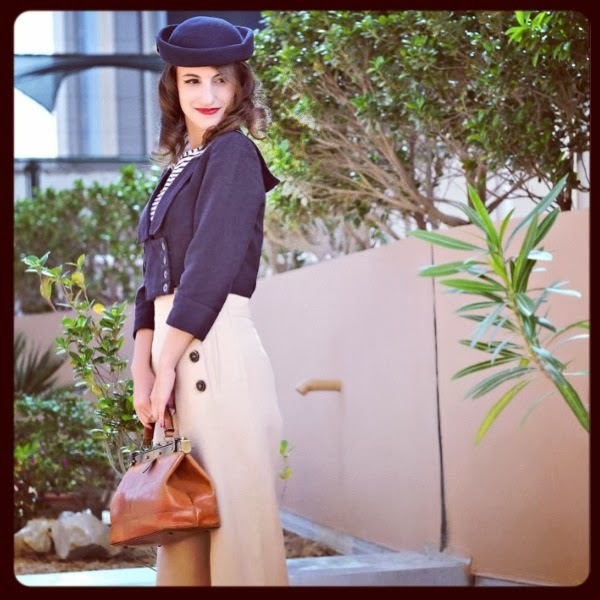 Some of you will recognise the Christian Lacroix trousers from the Katharine Hepburn series, as you can imagine, the lack of vintage in Dubai doesn't allow me to update my wardrobe as often as I would like, but there's always a way to mix and match!